The new trailer showcases the game’s ambition, including its bold and vibrant approach to racing with thrilling boosts, incredible vast jumps, and over-the-top takedowns. 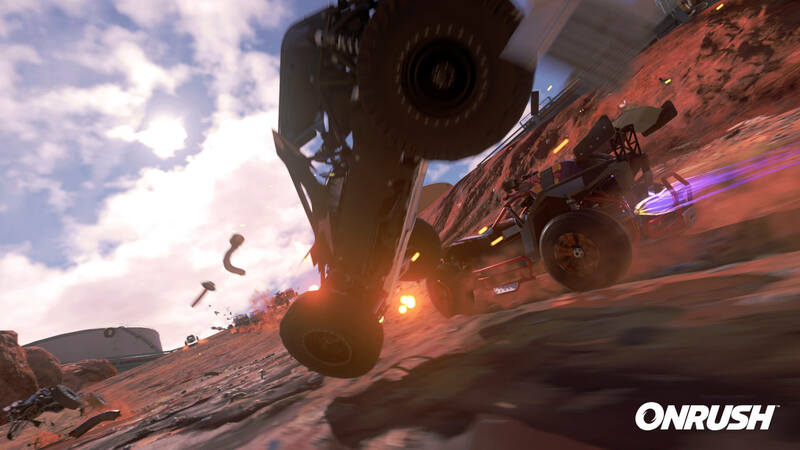 The action-packed arcade racer will see players in buggies, motorbikes, and trucks as they battle it out across ONRUSH’s variety of off-road racing courses. 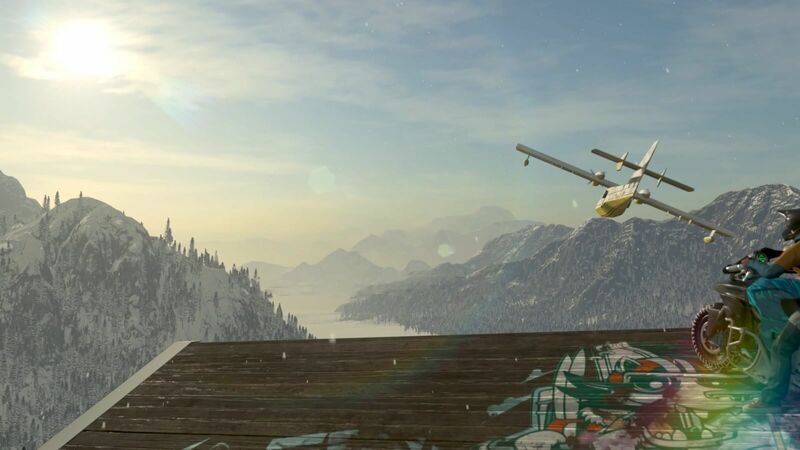 The new video opens with short-burst action sequences before showing us a stunning vista of a snowy mountainous region where one of the riders stops on his bike as a plane flys past into the distance. Shortly thereafter, the biker returns to the action as the electrifying boosts are enabled for high-speed and intense driving. There’s also plenty of smashing, bumping, and even more scenic shots as we’re shown a stunning viewpoint on one of the game’s unique courses where we see lush forestry, massive lakes, and plenty of greenery as the sun begins to rise. It’s also worth noting the skyboxes here, they look incredible. The team at Codemasters have done a wonderful job at bringing the world of ONRUSH to life by making it feel dynamic, intense, and alive. Stunts look incredible when mid-air, and the action is as chaotic as ever. Though what else did you expect from the spiritual successor to MotorStorm? Other courses, including a construction yard and mud-filled areas with plenty of woodland and scenery are also showcased in the new trailer, with lots of variety to boot. Each scene offers its own unique visual outlook, with various stunts and chaotic racing action at the forefront. One which stood out to me in particular featured a woodland forest with streams of water covering the mud overshadowed by a dazzling sky with beautiful lighting effects from the sunshine. 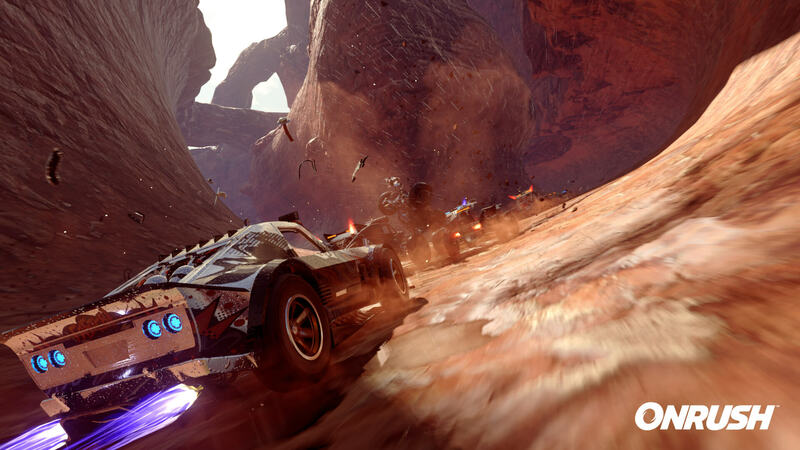 ONRUSH will be a real treat if it takes advantage of High Dynamic Range, which will enable these colours and lighting effects to pop even further. There’s no denying how fast-paced the trailer is overall, and it isn’t long until we’re taken to a beach featuring natural rock formations for some additional adrenaline-pumping action as the blistering rush ramps up even further with more chaotic stunts, even crazier use of the boost abilities, and plenty of smashing action. It’s a real thrill overall, and the visuals continue to be an absolute treat to enjoy. After all, the trailer is captured and uploaded in 4K resolution, and it looks awe-inspiringly good. It’s even a leap above what we saw in October when ONRUSH was first announced at Paris Games Week 2017. You can tell Codemasters has been hard at work on ONRUSH, and the action-packed gameplay, dazzling visuals, and spectacular environments fused with its sensational speed, outright fun, and over-the-top spectacle results in an unmissable experience. In addition to the new trailer, Codemasters also revealed that ONRUSH will feature a total of eight different vehicle classes, each with their own unique style, feel, and advantages. This includes the vehicle’s ‘RUSH’ state, where each class has different effects and abilities that can help their side claim victory in events. However, ONRUSH isn’t about racing to the finish line, it’s about driving with style and flair. That’s what matters most, racing with style as you perform incredible takedowns and put everything on the line in order to power up your ever-important RUSH bar. ONRUSH is available now to pre-order on Xbox One and PlayStation 4. The Deluxe Edition features a total of 8 additional vehicle designs with iconic gold and black liveries, extra Crashtag artwork, and Track Tombstones. The Deluxe Edition also features platform-exclusive liveries, with PlayStation-inspired blue designs for PS4 and Xbox-inspired green designs for Xbox One. Players who pre-order ONRUSH on PlayStation 4 will also receive early access to the beta before it opens to all users on Xbox One and PS4 in May. Codemasters has also confirmed that ONRUSH will utilize the power of the Xbox One X and PS4 Pro, though details on the enhancements on offer have yet to be announced with support for 4K likely being featured if the resolution quality of these trailers is anything to go by. 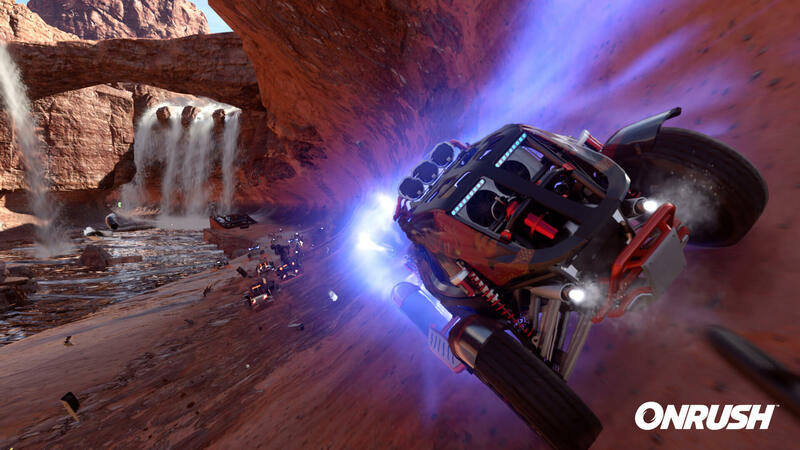 Developed by the former Evolution Studios team in Cheshire, UK as the new Codemasters development team, ONRUSH will be available on Xbox One and PlayStation 4 on June 5th, 2018. 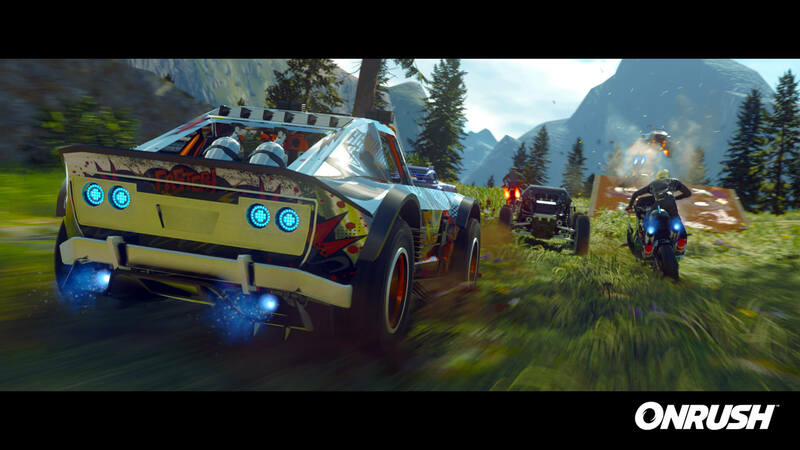 Want to know more about the off-road racing action to be had in this MotorStorm spiritual successor? Then don’t miss our recap of a recent Q&A held by Codemasters that’s all about ONRUSH, discussing the potential of a Nintendo Switch version, VR support and more.